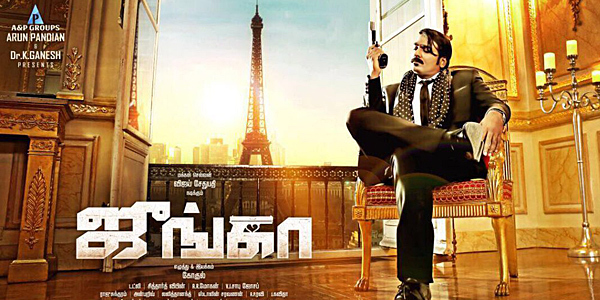 'Junga' is a Neo noir gangster film starring Makkal Selvan Vijay Sethupathi in the lead role. The film also stars Sayyeshaa, Madonna Sebastian and Yogi Babu and is directed by Gokul. 'Junga' is being bankrolled by Vijay Sethupathi Productions and the album for the film is scores by composer Siddharth Vipin. Like its title 'koottippo Koodave' carries the listener along its notes beautifully. Ranina starts off the song which borders sensual and then glides soothingly into a smooth rendition. Acoustic guitar gives the initial push and stays for a while as rhythmic beats takes hold of the song to give it's punctuated 'well-craftedness' for the lack of a better word. 'Koottippo Koodave' is a breezy experience not lacking in style with fluctuations,raises,falls all while retaining a common pole around which its elements rise up with support. Lalithanand's lines provide an excellent poetic structure to the song as much as Sathya's vocals are enjoyable. A fitting first single from 'Junga', Get it on your playlist ASAP. Rise is Don is full of swag and verve, that rightfull fits Vijay Sethupathi’s mass appeal. Lalithanand's lyrics are cleverly written with admirable word plays that tout praise for an awesome don- from his bottom days rising to what he is. Ramani Ammal's portions is very adorable with the inflections, as is other singers’ justified rendition to the song. The instrumental works is also well tooled and crafted without coming off as jarring. A definite playlist worthy song. The start is a bit lazy with lengthy strains. Then cue music and percussion, the needed energy fills the structure of the song. Jagadeesh's vocals and the thara local lyrics brings us a comical feeling for the song. But as the song progresses, we feel a bit of lethargy, a bit monotonous. But this song will also prove itself functional as a dance number. So add to your dance playlist! Are we listening to an opera singer? Kalapana’s rendition is scarily good in the initial portion, no doubt there. Then comes Anthony Daasan’s folkish rendition that surprisingly and peculiarly gels with the European flavour that the composer has tried. This fusion helps the song bring in a foreign, simple rhythmic patterns, thumping beats. The contrast between the singers is the song’s USP and you’ll love it! 'Junga' album for the most part is filled with energy. Lolikiriya is also such a ‘local’ track that speaks mostly in ‘global’ terms. It would not only perform better as a dance number but brings the ‘gaana’ genre to a mainstream path a creative structure, thanks to the composer. Add to your party playlist or just let it all out insane on the dance floor! This is what the title actually touts it to be, a fans song. A raw and pure praise composed into a track for the don Junga. Fiery lyrics and full on energy blown composition makes its an apt title roll out for the star. 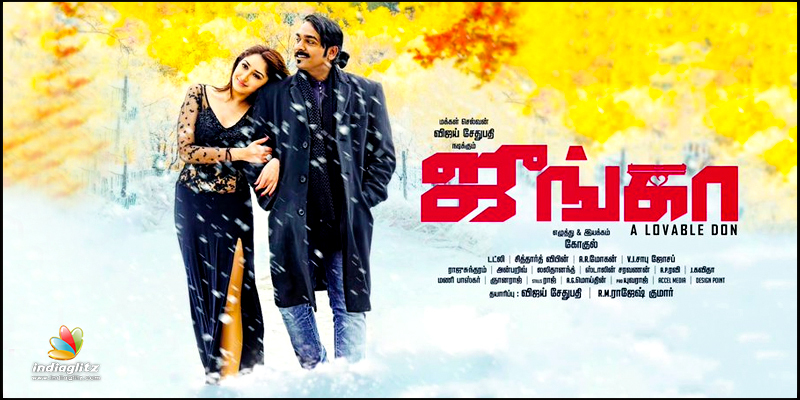 Verdict: 'Junga' album mostly relies on ‘energy’ and style. With its locally flavoured lyrics, it seems like a good fit for the locally bred international don VJS in the film.